Margaret Jourdain (15 August 1876 – 6 April 1951) was a prominent writer on English furniture and decoration. She began her career ghost-writing as Francis Lenygon for the firm of Lenygon & Morant, dealers in furnishings with a royal appointment, who were also the fabricators of carefully crafted reproductions, especially of Kentian furnishings, some of which have been displayed in public collections for decades. Born in Ashbourne, Derbyshire, on 15 August 1876, Jourdain's father was Francis Jourdain (1834–1898), a vicar and her mother, Emily, was the daughter of Charles Clay. One of ten children, her siblings included the writer and academic Eleanor, the ornithologist Francis Charles Robert Jourdain and the mathematician Philip Jourdain. Jourdain attended the University of Oxford where she studied classics obtaining a third-class degree. 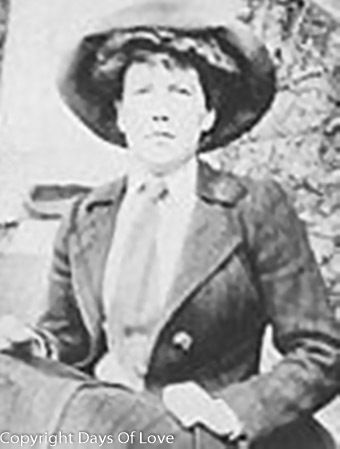 While there she met Janette Ranken and the pair moved to London settling in a residence together. The relationship came to an end when Ranken married Ernest Thesiger in 1917. The finely-honed writing that distinguishes Jourdain's work must be partly credited to careful pre-editing by her lifelong friend and domestic partner, the novelist Ivy Compton-Burnett. The couple lived together from 1918 until Jourdain's death in 1951. Members of their circle might speculate on whether they were lovers: Compton-Burnett referred to herself and Jourdain as "neutrals". Jourdain's papers are archived at the Victoria and Albert Museum, London, but some of her unpublished translations of poems by Jose Maria de Heredia, Pontus de Tyard and Gérard de Nerval are among Compton-Burnett's papers at King's College, Cambridge. Jourdain teamed with Ralph Edwards, keeper of Furniture & Woodwork, the Victoria and Albert Museum, to produce Georgian Cabinet-Makers (1944, 1951), a series of biographies of the major London furniture-makers from the Restoration of Charles II to 1800, supported by archival work, which had not been a strong feature of previous connoisseurship. As revised by Edwards, it remained the essential standard in the field for several decades until superseded by work by Peter Ward-Jackson, Christopher Gilbert, Helena Hayward, and members of the Furniture History Society. Her Regency Furniture (1931) covered new ground in extending the classic period of English furniture design forward to 1830.